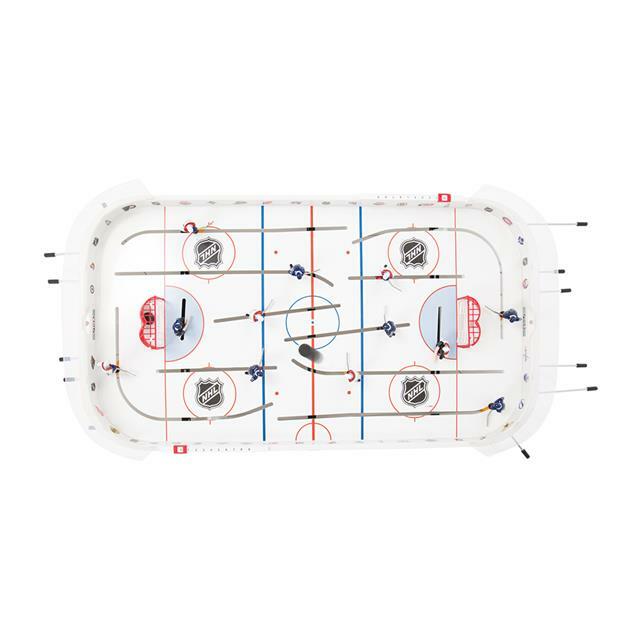 The only table hockey game that's officially licensed by the NHL! 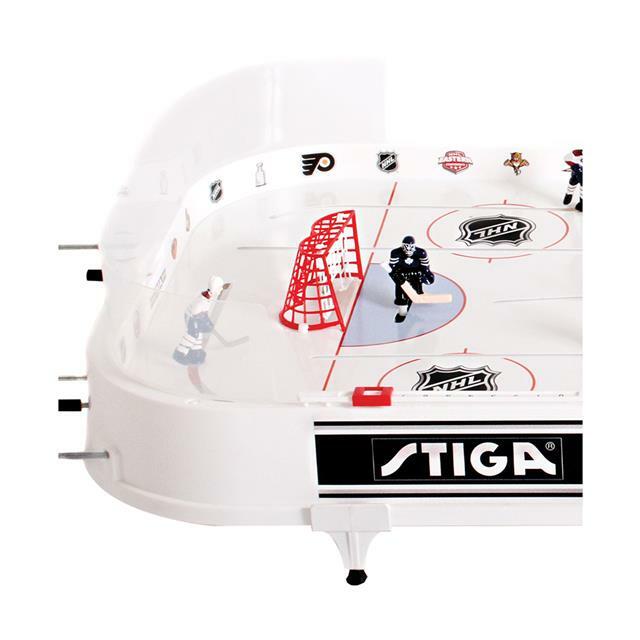 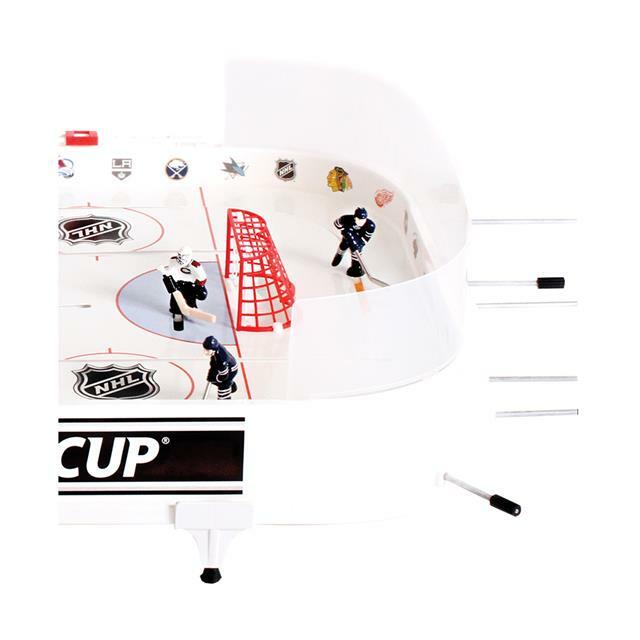 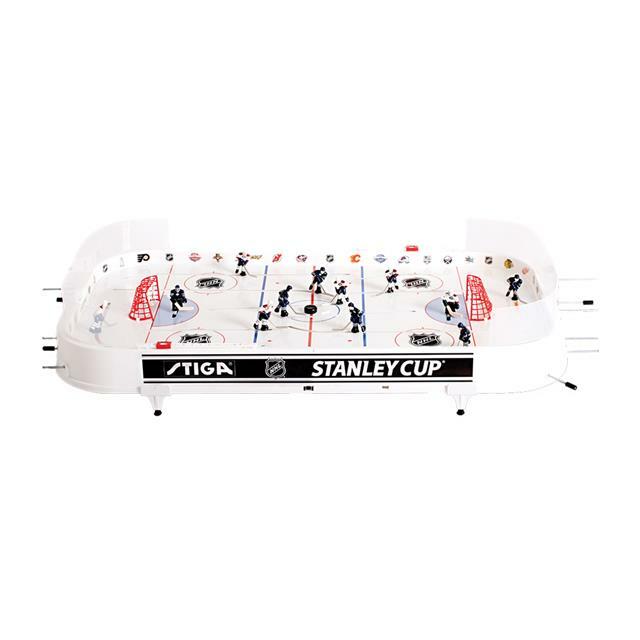 This awesome rod hockey game from Stiga features hand painted 3-dimensional players that can reach the puck anywhere on the rink - it's the classic game you remember, but with no dead spots! 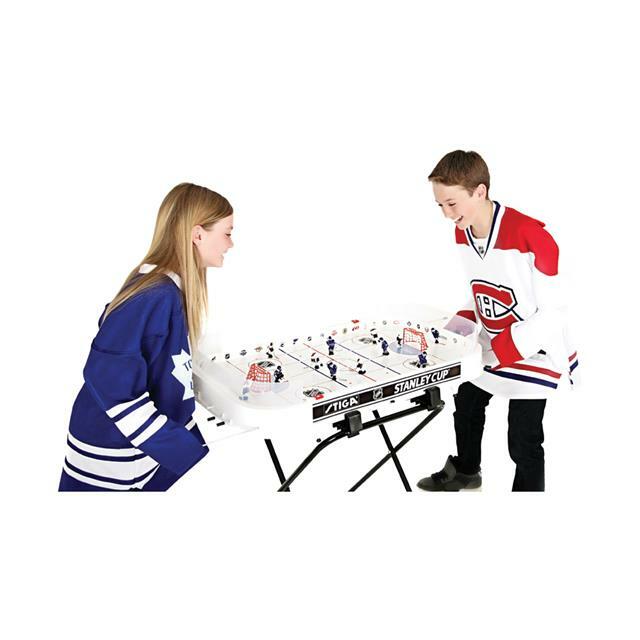 Includes: tabletop game with Toronto Maple Leafs and Montreal Canadiens (additional team packs and game stand sold separately). 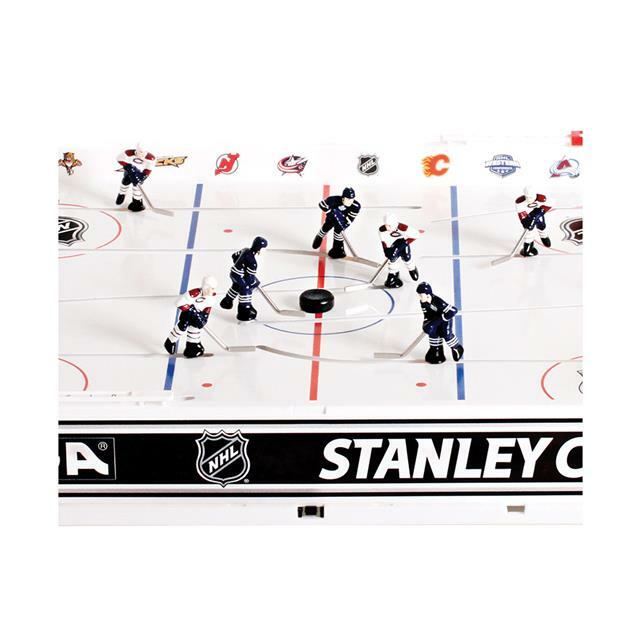 Measures approximately 38" long x 20" wide x 3.25" high (rods included).